The ornate chambers of the Amazon archives are vast, stretching as far as any mortal’s eyes can see. We make our way deeper into the legendary library, stopping occasionally to survey the various parchments and tomes, the millennia long annals of Amazon deeds and accomplishments are contained within this sacred place, and conveyed to you through – ‘Classic Wonder Woman’ Precinct1313’s comic cover coundown to the 75th anniversary of the Themysciran legend. This week’s tenacious tome is brought to you by those mythical maestros of comic book creation – J. Torres, Julian Lopez, & Marta Martinez. With the classic cover rapturously rendered by – Terry & Rachel Dodson. Released: December 2007. Thirteen issues into Volume 3 of Diana’s daring adventures brings you a startling story entitled “Mothers and Daughters”, a crossover issue in conjunction with the mini-series “Amazons Attack”. After the cataclysmic events of Infinite Crisis, the Amazons return to Earth to find their Princess, Diana, unlawfully held in detention by the United States Government. Led by their Queen, Hippolyta and her adviser Circe, and joined by mythic Greek creatures that includes, Pegasus, Hydra, and Cyclops, the Amazons attack the USA, with Hippolyta hellbent on destroying the world of men. Unbeknown to the Queen and her sister Amazons however is that the whole event was orchestrated by Circe, who is using the war as a means to destroy the Amazons and their fabled home of Themyscira. Join us again next time for more Classic Wonder Woman, my astonishing Amazonian associates! 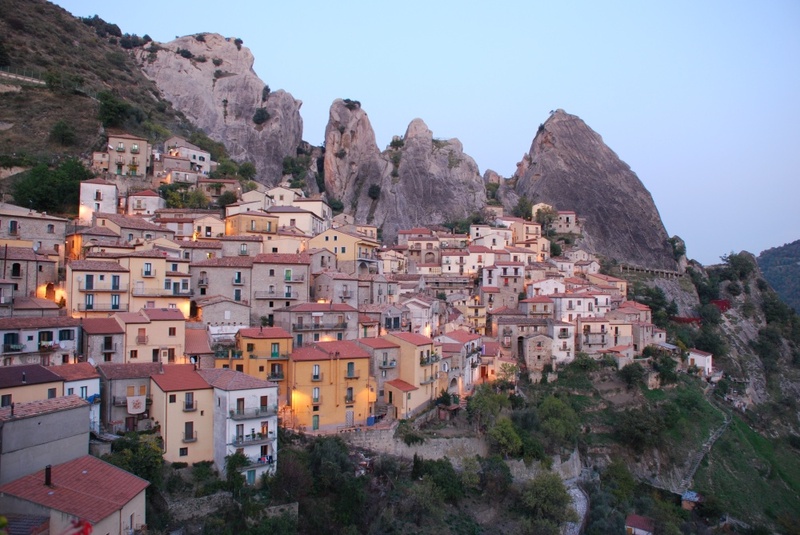 Diaphanous silken banners flutter slowly in the breeze as we make our way through the tapestry of forests, mountains, and lakes that form the awe inspiring forgotten isle known as Themyscira. A warm breeze caresses our skin, and bird song greets our ears as we wend our way through the serene calm of the Amazon homeland. Ancient baluster guide our journey flanking us on both sides, intricately carved with each vying for our attention with their Daedalian imagery of hellenic Gods and Amazons. Before us rise the majestic wrought marble gates that ultimately give way to the Elysian rapture that is the city-state of Themyscira itself, the elaborate Mycenean styled gate slowly unveils it’s secrets, ushering us through its magnificence and unto the celebrations beyond. Welcome my awesomely affable Amazonian associates to the fabulously fictional birthday celebration of Princess Diana of Themyscira. Today, in Themysciran history, a baby Titan was born unto Amazon Queen, Hippolyta, a fledgling Amazon who would ultimately grow up into the world’s most significant and popular female Superhero, ambassador, peerless warrior, emancipator and illustriously influential icon to the masses. 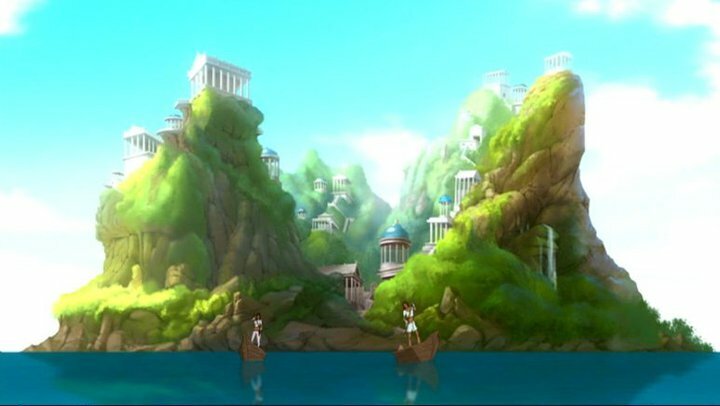 After our Herculean trek through the Ancient Amazon Archives reached it’s climactic crescendo in our previous instalment, we find ourselves, once more, basking in the alluring beauty of the legendary paradise island known as Themyscira. A warm breeze again caresses our skin as we cross the tranquil tapestry of forests, mountains and rivers that ultimately unfolds before us to form this awe inspiring isle of immortals. Bird song greets our ears and a serene calm seems to hang over this ethereal island. As we move further inland, ancient baluster rise from the ground arranging a beautacious path that weaves it’s way towards an ancient city that defies mortal eyes with it’s diaphanous presence of elegance, gleaming incandescently in the golden hue of the sun. The Baluster give way to pennants softly swaying in the breeze, with each of these intricate vexillum vying for our attention with their Daedalian imagery of the Hellenic Gods and Amazons. Our heartbeat quickens and anticipation heightens as we finally reach the majestically wrought marble gates that lead, ultimately, into the elysian rapture that is the city-state of Themyscira. Hanging conspicuously from a single strand of an unknown golden gossamer to the side of the grand gates is an elaborately detailed horn depicting Zeus’ nurturing goat Amalthea, softly blowing into the Cornu causes the Mycenaean styled gate to slowly reveal the magnificence of it’s interior, a vision so resplendent that it can only be relayed to mortal eyes through… ‘Classic Wonder Woman’ Precinct1313’s comic cover countdown to the 75th anniversary of the Themysciran Titan. And lo our odyssey reaches its conclusion as we find ourselves at the denouement of this quest to celebrate the creation and continuation of the world’s premier and most important fictional female character. The journey through the Ancient Amazon Archives has been filled with many tantalising tales of heroism, and heartbreak, a grand adventure that ultimately ends here with the 75th anniversary of Princess Diana of Themyscira, better known to the world as Wonder Woman. DC Comics, that fine purveyor of the fantastic, have pronounced that today is their official celebration of Diana’s virtual birth, it coincides with the United Nations event naming the wondrous one as their ‘Honorary Ambassador For The Empowerment Of Women And Girls’ and you can count on Precinct1313 to commemorate this monumental occasion with a week long salute to our favourite fictional female. Of course, of all the one shot titles available the one that I was most looking forward to was Wonder Woman Rebirth, and thankfully the one off special did not disappoint, in fact it was everything I had hoped for, and more. Comic book scribe extraordinaire Greg Rucka returns once more to bring his inimitable writing style to the amazing Amazon’s amphitheatrical adventures. Rucka’s previous run on Wonder Woman ended in 2006 and was the recipient of an Eisner Award for best writer. Hailed as one of the foremost authors of the Themysciran Princess, Rucka was a fan favourite choice to pen her ongoing escapades. WW Rebirth finds Diana in a dilemma in that she is no longer able to distinguish reality and falsehood when it pertains to her past. Is she the daughter of Zeus, or was she created from clay by her mother Queen Hippolyta and then given life by a pantheon of Greek Gods. These questions and more will be asked by the Amazon herald as she explores her history, searching for the true reason behind her existence. Emblematic of Diana’s move away from the New 52 storylines are reflected in the differing art styles encompassed in the comic, with the first two thirds of the issue illustrated by Matthew Clark whose style reflects the earlier incarnations, but when Diana takes a major turn in the book, Liam Sharp takes over the artistic duties with a complete departure to Clark’s art, his technique reflects the metaphorical change in the story beautifully as Diana also sheds her New 52 costume for an outfit that resembles rather closely Gal Gadot’s Wonder Woman costume from the recent Batman v Superman movie. Greg Rucka, Liam Sharp and Matthew Clark create a bold new direction for the continuing exploits of Wonder Woman, fantastic writing, sublime artwork from Sharp and an intriguing new start to the chronicles of the world’s most beloved Superheroine. Precinct1313 Rating: 5 Golden Girdles Of Gaea Out Of 5. Pushing ever deeper into the ancient Amazon archives we discover a seemingly forgotten pathway, heavily shrouded in near impenetrable darkness and coated in a fine layer of dust and cobwebs. Beyond this hidden path lies a small ornate room illuminated from some unknown and otherworldly source, and at its centre lies a magnificent manuscript that can only be translated through – “Classic Wonder Woman” Precinct1313’s comic cover countdown to the 75th anniversary of Princess Diana of Themyscira. This week’s tantalising tome is brought to you by those boundless bastions of comic book creation – Gail Simone, Aaron Lopresti & Matt Ryan. Released in July 2008. The startling story secreted behind the colossal cover is the first part of a four issue mini-series entitled “Ends Of The Earth” and marks the beginning of Gail Simone’s legendary run on the awesome Amazon’s adventures. Diana must brave the mystical demonic dimension known as the Black Horizon, this desolate plane has devoured many a great warrior who has encountered its perilous landscape. Bereft of many of her powers and fighting a growing bloodlust in her veins, Diana must journey through this dangerous dimension to reclaim her soul from a demon lord who lives at the edge of all existence. Join us again next time for more Classic Wonder Woman, my astute Amazonian associates! Join us as we wend our way across the beautiful paradise island of Themyscira, before descending into the depths of the ancient Amazon archives in search of yet more ‘Classic Wonder Woman’ Precinct1313’s comic cover countdown to the 75th anniversary of the legendary Amazonian Princess. This week’s terrific tome is brought to you by, Greg Rucka, Ray Snyder, Cliff Richards and Todd Klein, with another captivating cover by the talented JG. Jones. Released December, 2005. The tantalising tale secreted behind the classic cover is titled ‘Blood Debt’ and once again finds our hellenistic heroine tangling with her nemesis, Cheetah. We’ve written about the felonious feline Cheetah on several occasions, being that she is one of our all time favourite supervillains. Wonder Woman’s constantly recurring arch-nemesis has been around since 1943 and was developed by Wondy’s creator William Moulton Marston. There have been several versions of the character over the decades, beginning with the original – Priscilla Rich, followed by Deborah Domaine and finally post-crisis variant (and our favourite) Barbara Minerva, who is easily the most deadly and ferocious of the pack. In ‘Blood Debt‘ Diana and Cheetah face off once more. Diana is on trial at the Hague for the murder of the villainous Maxwell Lord (details on that right here, fact fans) after the incident was broadcast across the planet by the (Batman created) Brother Eye satellite system. Diana pleads not guilty to the charges and is given parole, but whilst residing in the Hague and awaiting trial, she is once again attacked by Cheetah, only this time, the malicious moggie manages to defeat a world weary Wonder Woman. Join us again next time for another classic WW cover, my astounding Amazonian associates! 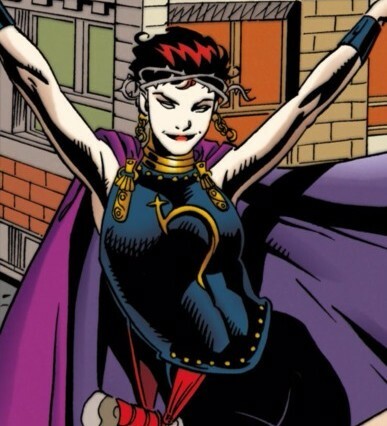 Hippolyta made her first appearance in “All Star Comics #8” in 1941. Created by William Moulton Marston and Harry G. Peter, she is the Queen of the Amazons, ruling the immortal race of Greek warrior women from the paradise island of Themyscira. The Amazon Queen has undergone a few revisions in origin over the years, but in current continuity Hippolyta and her sister Amazons were created by a select pantheon of the Greek gods that included Hestia, Athena, and Aphrodite from the souls of women slain by men throughout the millenia, with Hippolyta herself over 3200 years old. Hippolyta is both a shrewd diplomat and skilled warrior, and bore her daughter Diana from a romantic entanglement with Greek God of Gods – Zeus. Wonder Woman is currently filming in the UK and Italy, with actress Gal Gadot starring as the Amazing Amazon and Chris Pine as Steve Trevor. Due to be released in 2017. Our footsteps echo through the halls of the ancient Amazon archives as we retrieve another classic tome, and continue our weekly comic cover countdown to the 75th anniversary of the amazing Amazon. 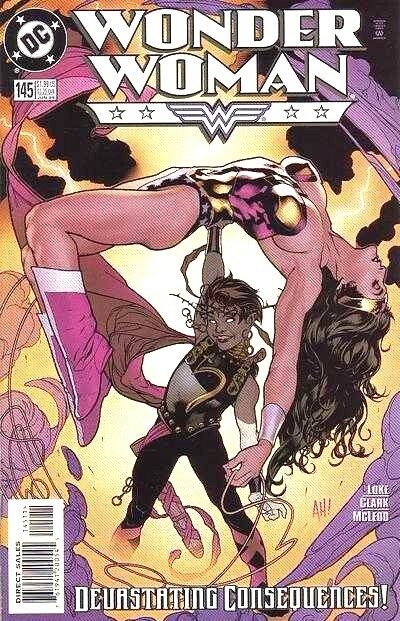 This weeks instalment presents you with; Wonder Woman (volume 2) #145. Written by: Eric Luke. Cover art by: Adam Hughes. Interior art by: Matthew Clark. Released in June 1999. The terrific tale secreted behind the astonishing Adam Hughes cover is titled “Devastation 3: Death Begun”, continuing the tale of Diana‘s new and deadly foe, Devastation, with her origin story. Last episode we recounted the tale of Titan Kronos (Cronus) and his devilish predilection for swallowing his children to prevent any from usurping his position of power. Although Zeus managed to free most of his siblings from their gastroscopic fate, unknown to him, Kronos still had trapped, earlier unknown Gods, Oblivion, Disdain, Arch, Harrier and Slaughter. Centuries later, Kronos released his remaining children, who became his own personal pantheon, through whom he would use to destroy other Gods on his attempted ascension to ultimate power. Though there stood one major obstacle in his ignoble quest for power, Olympus’ champion; Wonder Woman. Kronos devised a scheme to create a dark mirror image of the ultimate Amazon, like Diana herself, created from Themysciran clay. Once formed Kronos breathed life unto the graven image and named her Deva. And thus Devastation was born, possessing the same powers and abilities as her Olympian counterpart, but with diabolical and deadly twists, and none of the pathos or compassion of her Themysciran sister. Join us again next week for another classic WW cover, my affable Amazonian associates! 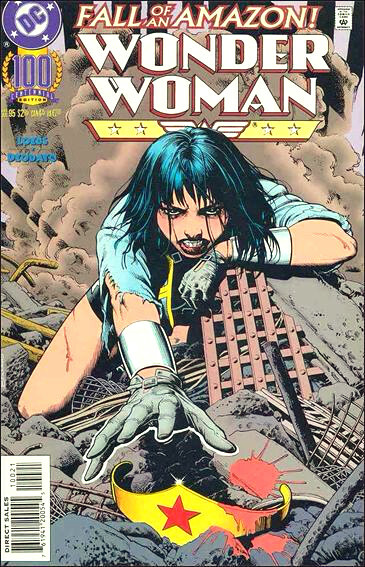 Welcome once more my Themysciran sisters and brothers to another instalment of Classic Wonder Woman, Precinct1313’s weekly comic cover countdown to the 75th anniversary of the awesome Amazon. This week we delve into the Amazon archives to bring you; Wonder Woman (vol-2) #100, written by William Messner-Loebs, with cover art by Brian Bolland and interior art by Mike Deodato Jr. Released in August 1995. Diana regains her role as Wonder Woman after losing her right to be the Amazon herald through an ancient Themysciran competition of strength and wits, which her estranged Amazon sister Artemis won, and briefly becomes Themyscira’s chosen advocate to Man’s world. Artemis’ last stand as Wonder Woman depicts her in a colossal struggle against a horde of hell-spawned demons and Diana’s arch-enemy, the malevolent Cheetah. Artemis ultimately succumbs to the overwhelming odds and falls valiantly in battle, dying a heroes death, which is a noble distinction amongst the Amazons.